Here are four of the five Silver Laughter members who were there to receive our accolades and play for the crowd. Mark hadn’t arrived yet. From left: Mick Orton, Jon Ludtke, Kim Ludtke and Paul Staack. 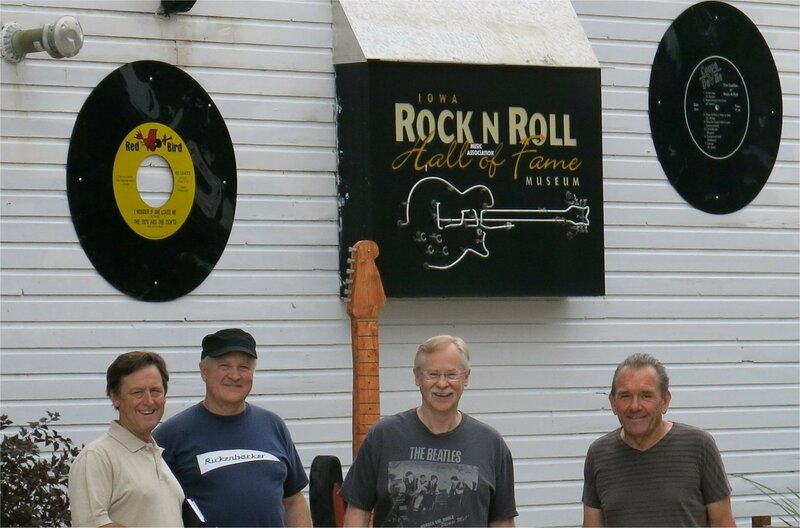 Behind us is the building that houses the Pavilion and Roof Garden as well as the Hall of Fame Rock and Roll Museum.